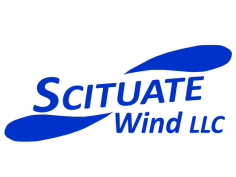 Copyright Scituate Wind, LLC. All rights reserved. Scituate Wind is a 1.5 MW Wind Turbine Project located at the Wastewater Treatment Plant in Scituate, MA.Below is the PowerDash interface. PowerDash provides current and historical meter readings for the Scituate wind turbine. For a direct link to the turbine click: Scituate Turbine.